Whether you’re looking for a new cooling unit before summer hits or you’re in need of a new energy-efficient heating system, Rick’s Heating & Cooling has the experience and professionalism it takes to install a new HVAC unit in your home. For over three decades, our family-owned business has been installing furnaces, air conditioners, heat pumps, and more in homes throughout Morrow, Cincinnati, Batavia, Lebanon, Reading, Wilmington, and beyond! We install industry leading products so you have a unit that works and works well all season long. To schedule HVAC installation in Cincinnati, Morrow, or the surrounding areas, give us a call at (513) 899-6005 or fill out our easy-to-use contact form! 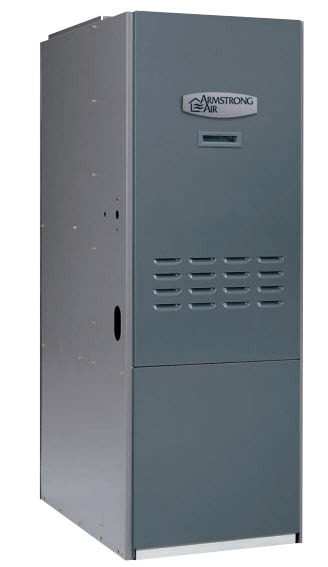 To schedule your furnace install in Cincinnati, give our team a call at (513) 899-6005 today. All of our air conditioners are installed and tested by our trained and licensed technicians. We accurately measure your home so we can decide which unit will work best at your given budget and efficiency requests. When you need to install an air conditioner in your home, count on Rick’s Heating & Cooling. Contact us online to schedule your HVAC installation in Cincinnati or the surrounding areas. A dual fuel heat pump—also known as a “hybrid system”—takes advantage of multiple energy sources to most efficiently heat and cool your home or office. Since a heat pump keeps rooms comfortable through the transfer of heat, not producing heat, a dual fuel heat pump uses your property’s furnace when outdoor temperatures drop below freezing (32 degrees Fahrenheit) to maintain consistent temperatures. For heat pump and/or dual fuel heat pump installation in Maineville, Morrow, Lebanon, Mason, or Cincinnati, OH, contact us today! Properly sized and installed ductwork is the key to any heating and cooling system. If sized or installed incorrectly, your HVAC system may function less efficiently, resulting in an uncomfortable home and higher energy bills. Our HVAC technicians are highly trained in how to properly size and install ductwork in any building, so you can trust your home will remain comfortable all year round. Our technicians will work closely with you in order to custom design and install your home’s HVAC ductwork. Contact us today to schedule an estimate. If you’re looking for a family-friendly HVAC contractor in Cincinnati, Maineville, Morrow, Lebanon, Mason, or Batavia, give us a call! We know how valuable your time is, which is why we book our appointments within a two-hour window with the availability of call ahead service, so you’ll know when we’re on our way. Contact Rick’s Heating & Cooling at (513) 899-6005 to schedule HVAC installation in Cincinnati, Morrow, or the surrounding areas.